This Sunday, March 18th, WAKE UP will air on the OWN Network’s Super Soul Sunday program at 11am ET. Jonas and Mara’s interview with Oprah Winfrey will follow the movie. And they will be tweeting throughout the show to answer questions. Contact them on twitter.com @JonasElrod, @MaraHolly and @wakeupthefilm.com. WAKE UP Producer Steve Hutensky posted today on Huffington Post about the Occupy movement, asking everyone to WAKE UP. Click here to read it and share your thoughts. Exciting News! Wake Up premieres on OWN! Grassroots Indie Film Reveals Supernatural Phenomenon and Debuts on TV Worldwide October 16th on OWN. BROOKLYN, NY (September 27, 2011) – The provocative documentary film WAKE UP has been selected for its world television debut on Oprah’s OWN Network launch of “Super Soul Sunday,” a new three-hour Sunday morning programming block scheduled to premiere Sunday, October 16 (8 a.m.-11 a.m. ET/PT). Throughout the film, Jonas’ loving yet doubting girlfriend Mara, supports him but questions his experiences along the way. Her skepticism leads to her own profound awakening we witness firsthand. The film culminates in the realization that Jonas’s “special ability” is the inspiration for him to discover who he really is and get more out of life. Jonas’ captivating journey to explore larger truths about the universe and everyone in it reveals how all of us can search inward for our own peace and happiness. It’s an invitation to accept that there is more to this life than meets the eye. 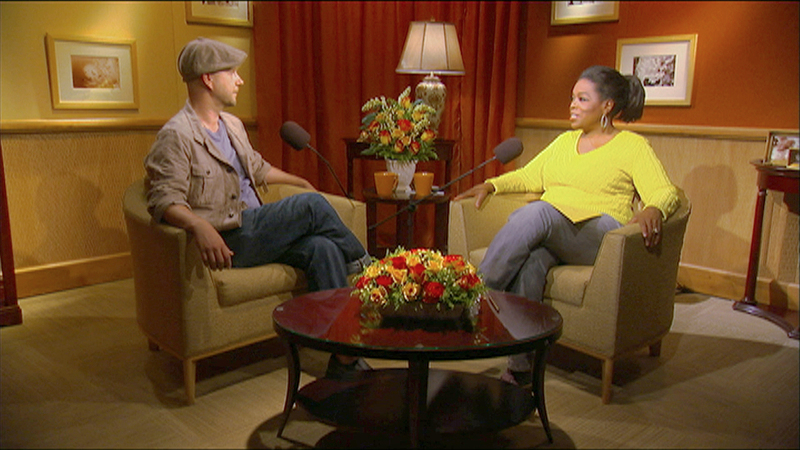 In addition to the documentary, shown in its entirety, Oprah interviews Jonas and talks to Mara about what it’s like to live with Jonas as he learns to accept his uncanny “gift.” The broadcast will be followed by a live conversation, discussion at www.oprah.com/supersoulsunday, as well as, a LIVE twitter discussion with Jonas and Mara at @wakeupthefilm. 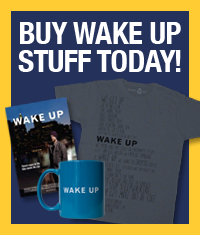 WAKE UP is also available on DVD and VOD at www.wakeupthefilm.com and is distributed by Beyond Words. October 7, 6:30pm at Simple Balance Holistic Center, 221 East Chicago St, Elgin, IL. Tickets $10. Followed by skype Q&A. October 18, 7:00pm at Smith College, Seelye 201, Northampton MA. Followed by Q&A with Jonas Elrod. For more info click Here. Check out Oprah’s terrific interviews with WAKE UP’s Jonas and Mara on Oprahs Soul Series starting this Monday June 13. For those who do not have a subscription to Sirius XM, you can get a free 30-day online trial at www.xmradio.com/oprah. A huge thank you to Oprah and the rest of the Harpo team! New DVDs with Spanish & English Subtitles Available Now! We are excited to announce that DVDs of WAKE UP ordered through this website now have Spanish and English (for the deaf & hearing impaired) subtitles! Order yours now! for the shout-out about WAKE UP on sting.com! Watch clips from WAKE UP on our YouTube Channel.